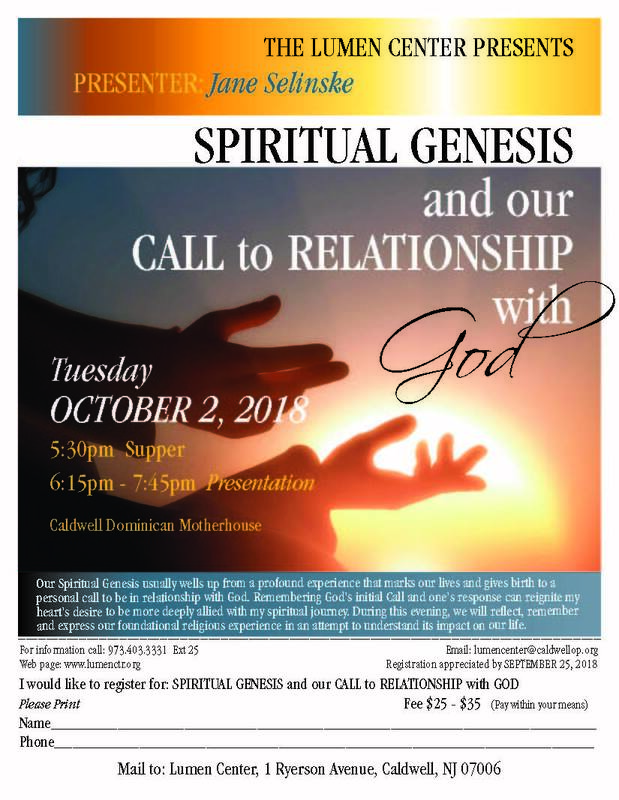 Join us and deepen your relationship with God, self and others. Our schedule includes evening programs, days of retreat, scripture study and dialogue about our responsibility in using the earth's resources.​ Because of recent flooding in the Motherhouse which affected the LUMEN Center please use the porch entrance by the Kitchen. Centering Prayer is a receptive method of silent prayer that prepares us to receive the gift of contemplation. It is a prayer that moves us beyond conversation with God, with Christ, with Mystery. It is a method of prayer in which we consent to rest in God's presence. Lectio Divina is a reading, reflecting, responding and resting in the word of God that helps one to grow in relationship with God. After the group experiences Centering Prayer together, we will then share Lectio Divina from the scripture of the day. 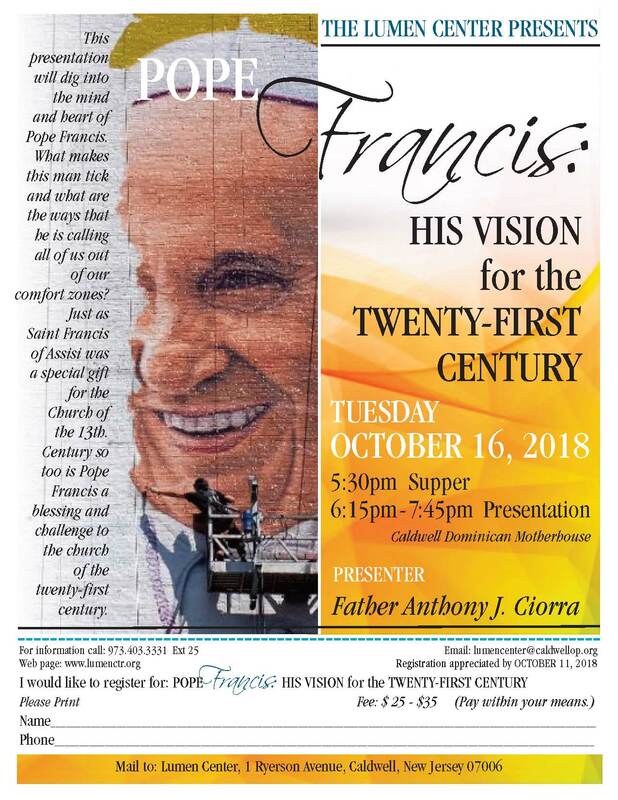 All are welcome to join in this prayer together. If you have experienced Centering Prayer, no need to register, just come by. 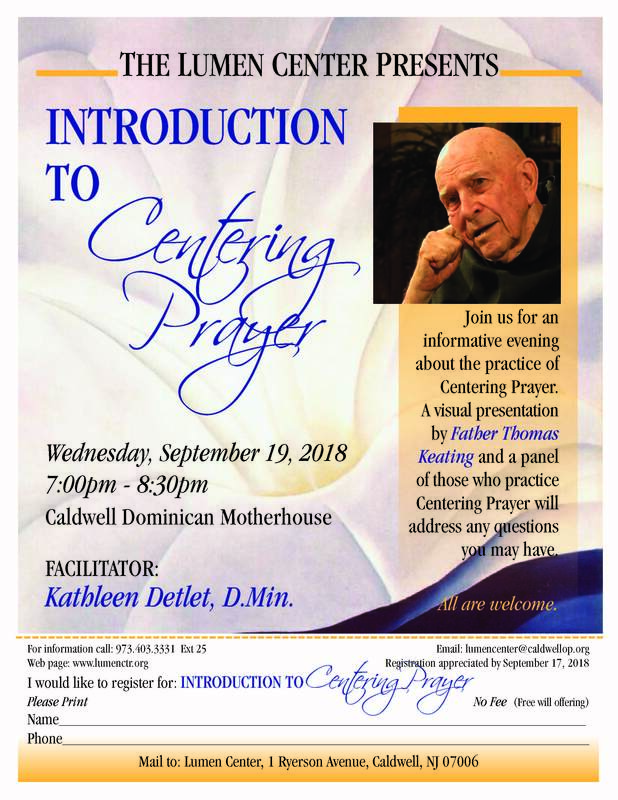 If you are new to Centering Prayer, and are interested, please contact Kathy to set up a time to hear more about the prayer and address your questions. 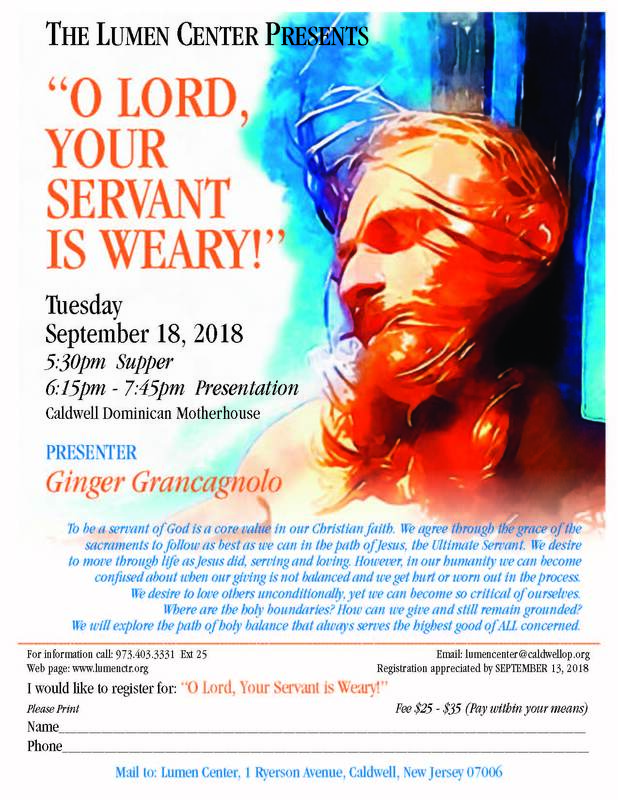 For those who are familiar with working with their dreams, and for those who have a desire to begin to listen to dreams, come and learn how your life can be informed and enriched by listening to "God's Language in Dreams". Please bring a dream that you feel comfortable in exploring during the evening. PRAYERS AND LIFE SKILLS FOR LEARNING TO LET GO - LET GOD! Life confuses and distracts us, making letting go of past hurts, present and future worries almost impossible. There is an easier and better way. There is a prayerful solution. CLIMATE CHANGE: What Do We Know And What Can We Do? There is evidence that some remarkable changes in our environment are taking place. We will explore some of this evidence, as well as what appears to be driving these changes. How are these changes affecting natural and cultural systems and possible ways we can mediate these effects. 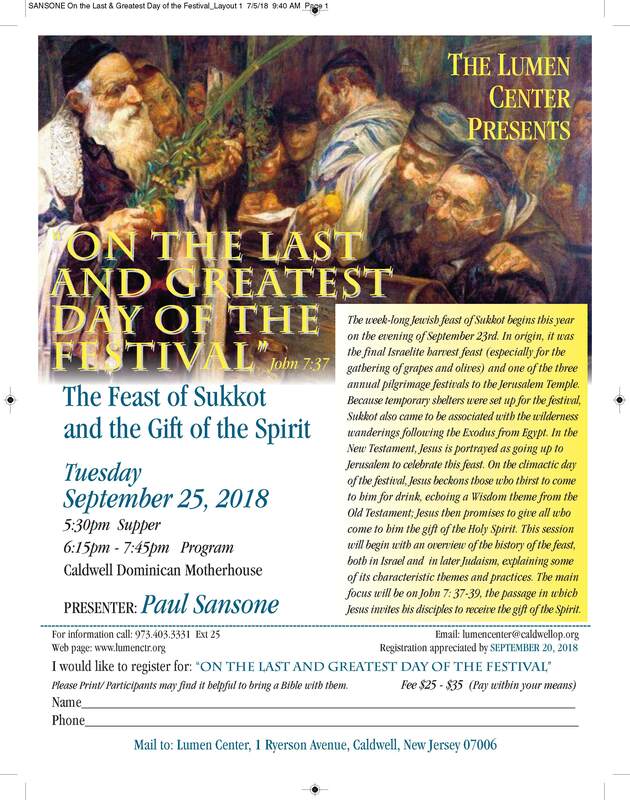 The purpose of this evening's reflection is to take a brief look at the history of this devotion, to focus on the roots of the Stations in their scriptural context, and to briefly explore the role of imagination in our prayer in order to better understand how we interiorize the Gospel stories and give new expression in our own lives to their meaning. Join potter Ray Boswell for a day of reflection, prayer and touching clay. Co-create a space to hear, see, and come in contact with the Divine Potter through multimedia imagery, storytelling and clay. Join with others in transforming a broken pot, a broken world, and less than perfect lives into symbols of God's love for us. As we transform the clay, we are invited to be transformed. ​WE ARE MARTHA; WE ARE MARY. Their gospel story is about finding intimacy with God in the busy-ness of every day. Together they invite us to answer Jesus' invitation to wholeness, to balance our lives by answering the needs of others from the home of God within us. ​ be "poets" themselves to attend. Join with others who would like to learn more about finding the sacred and finding meaning in our everyday lives. Insights gained can help to give us positive ways to view each day. Please read the book ahead and be prepared to discuss 2 chapters each Wednesday. We are shamed, mortified, and deeply saddened by the scandalous revelations that have come to light concerning our beloved church over the past months. How do we recover? Can things ever be the same, should they be, or is a new Pentecost awaiting us? A time to think, pray and to decide. Presenter: Father Richard Rento, S.T.L. ​ strategies, inspiration, and spiritual practices that can be applied to your everyday life. During this day of retreat we'll listen together to the leading light from within. ​ some time for silence and reflection. This workshop is for those who have already attended An Introduction to Soul Collage and who wish to develop a fuller understanding of self and those people and places that have influenced and shaped who we have become. Bring your open mind and heart for this very relaxing and insightful day, as well as the soul cards you may have already made. Materials will be provided. Join us for a retreat at the beautiful Emmaus House just one block from the ocean. Emmaus House offers a warm hospitality and setting for us, with private rooms and a shared bath. Presentations, prayer, quiet time and discussions will enrich your time with self, others and our God.